There is no doubt about it. It is taking over. Each and every day more and more innovations make it on to the wrists and into the gaze of your closest friends, relatives, and co-workers. Where is all this new wearable technology coming from and how do you get in on it? It is actually not very difficult or quite as expensive as you might think. – Kisai Tokyoflash Watches. At Tokyoflash Japan, the designs are by the people for the people. Each and every watch is crafted and innovated by the company but the idea is sold by a minor contributor. They have a wide variety of themes including wood, metal, composite, and pure LED. This set of wrist-tech is priced in the range of $100-$300. If you are looking to upgrade your wardrobe with a fashionable yet innovative watch, this is the least pricey method. – Google Glass and Telepathy One. While Google Glass does have the head start, Iguchi Japan has been in development of the Telepathy One to compete in the coming years for HUD wearable technology. If you have not heard of Google Glass or Telepathy One, the concept is really quite simple. These innovations will incorporate technology into your everyday life without you having to take a phone out of your pocket. You simply have to speak or press a button on the side and the glasses will show you who, what, where, when, and how on any topic. For instance, if you heard about a restaurant from your friend, you could instantly ask, “Glass, search Johnny’s.” Instantly, right in your gaze you will see a Google search, a GPS navigation, and a list of reviews. 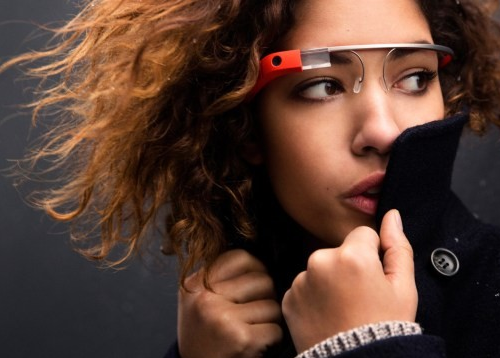 Despite the $1,000 price tag on the Google Glass and the limited amount of pairs currently, the release has been rumored to be by 2014. – Sony Smartwatch or iPod Nano Wristwatch. The competition between Droid and Apple extends into the next generation of technology with wristwatches. While these have both been released, more innovations are coming including more memory and direct phone capabilities. Currently they have a Bluetooth connection to the respective brand of phone. The price tags are the biggest difference between the two. The Sony Smartwatch with Droid is set at $150. The iPod Nano plus the case is a little over $200. The real dispute with these is whether you’re an Apple fan or a Droid fan. It is an endless struggle. This entry was posted in Featured, Gadgets, Trending and tagged Google Glass, Kisai Tokyoflash Watches, Sony Smartwatch. Bookmark the permalink. ← Task Apps: How American children are out-sourcing their chores online.